I hadn’t considered this, but I have to say as far as consequences go, this is a good one. Illegal immigrants are now canceling their food stamps because they fear DHS will track them down through the service and deport them. Yep… they certainly will. So, they are cutting off their own freebies to hide in the so-called shadows. 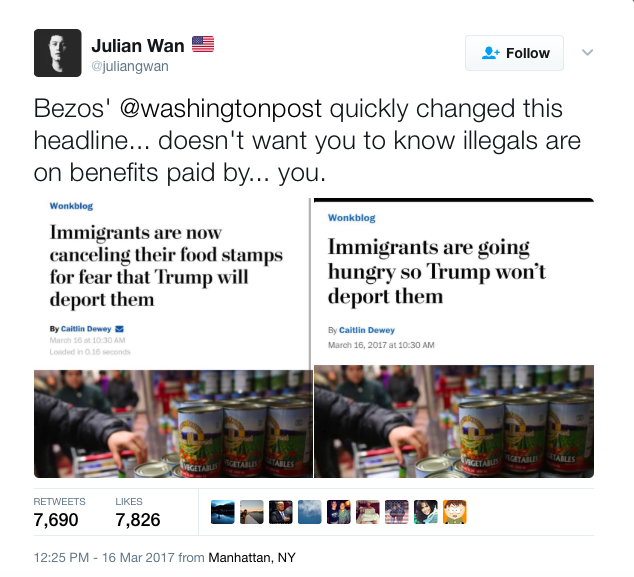 The Washington Post dishonestly declares in the title of an article entitled: “Immigrants are going hungry so Trump won’t deport them,” that this is all Trump’s fault. What bull crap. If they were legal, they would not have an issue and if they go back to where they are legal, there is food there to be had. This is of their own doing, not President Trump’s. Spanish-language SNAP applications to the Maryland Food Bank have fallen from 20 a month to zero, the Post reports. Even some legal aliens who live in mixed households are canceling their food stamps. The truth is, if you are here illegally, ICE is going to track you down. Get legal or get out. It’s just that simple. Notice how WaPo didn’t include the word ‘illegal’ in their headline. The crap I see coming out of the Washington Post these days is stunning. It’s fake news and propaganda and it is virulently anti-Trump. Immigrants are canceling their food stamps over fears they could be deported. 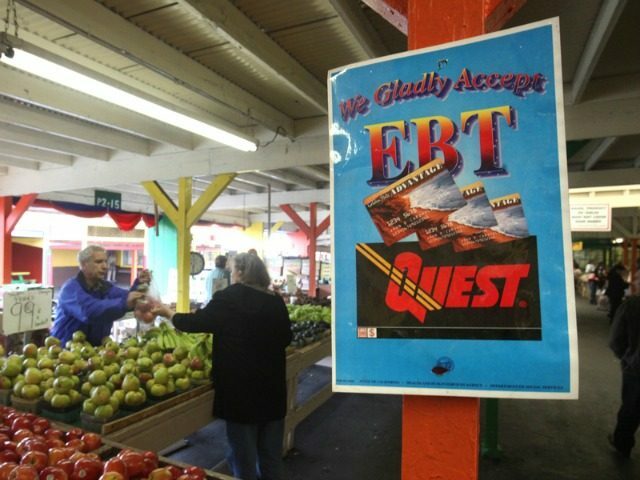 Food banks and hunger advocates around the country from Tuscon to Baltimore have noticed a decline in the number of eligible immigrants applying for food stamps and a rise in the number of immigrants seeking to cancel their food stamps since President Trump’s inauguration two months ago, the Washington Post reported. Advocates on behalf of these immigrants say that their fear stems from the possibility that Immigration and Customs Enforcement would notice their participation in the food stamp program and deny them U.S. citizenship or deport them. These immigrants are now going to food pantries and soup kitchens so that they can feed themselves and their families. Illegal aliens should not get free benefits here in the US. Their children should not be going to our schools and they should not get money for college. If they want all that, become an American citizen the legal way. The left is ginning up hysteria over Trump and scaring legal immigrants who are not at risk here from the government. That’s just despicable. Hot Air notes that there is actually no way to confirm and verify this story from the Washington Post. They were “unable” to speak to any of the immigrant families in question who had supposedly decided to drop out of the program. They attempt to bolster their claim by citing statistics showing that there has been a recent marked drop off in eligible immigrants applying for supplemental assistance. Regardless, food stamps are meant for impoverished American citizens, not those who are here illegally. Sympathy has nothing to do with this. Those here illegally are right to figure they will be deported if they are traced back to food stamp rolls. That’s the way it should be.